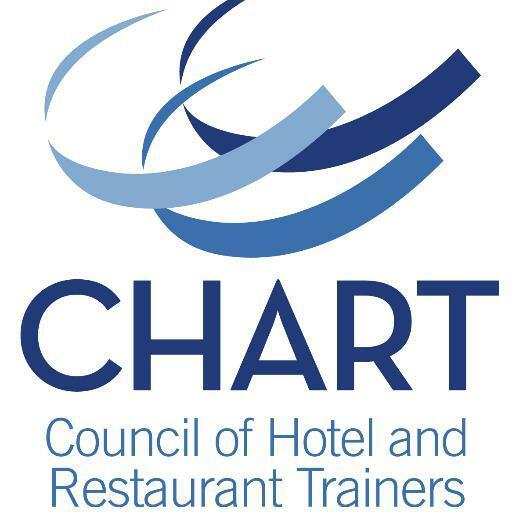 The Council of Hotel and Restaurant Trainers (CHART) has announced a partnership with The International Food and Beverage Technology Association (IFBTA), a nonprofit trade association that promotes the use of technology within the global food and beverage industries with a specific focus on education, certification, standards, research and networking. WESTFIELD, NJ, October 18, 2017 – The Council of Hotel and Restaurant Trainers (CHART) has announced a partnership with The International Food and Beverage Technology Association (IFBTA), a nonprofit trade association that promotes the use of technology within the global food and beverage industries with a specific focus on education, certification, standards, research and networking. For more information, please call 312.405.2634, email lisa@chart.org or visit www.chart.org. CHART (www.chart.org), a nonprofit professional association founded in 1970, is the leading resource for the development and advancement of hospitality training professional and their organizations. With more than 500 members from more than 300 multi-unit restaurant and hotel companies, CHART represents a workforce of almost three million. CHART includes all facets of hospitality training, learning, and performance professionals; from entry level to senior executive. CHART’s mission is to develop hospitality training professionals to improve performance through access to networks, education, and resources. Follow CHART on Twitter at @CHARTtrainers. The International Food and Beverage Technology Association (IFBTA), a nonprofit trade association, promotes the use of technology within the global food and beverage industries with a specific focus on education, certification, standards, research and networking, while aligning with other industry associations and groups in support of their technology related initiatives; and to further the common business interests of the information technology industry by promoting the utilization of technology within all segments of the global food and beverage industry, including restaurant/foodservice, hospitality/lodging, gaming, onsite, beer/wine/spirits retailing, c-stores, catering, travel and other related segments of the food and beverage industry. Visit www.ifbta.org for more information or follow @IFBTA on Twitter.